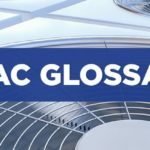 In this blog we will be listing common HVAC terms and terminology to help in understanding discussions regarding HVAC equipment. Equipment which delivers cool, clean air throughout a dwelling or business. This term can refer to central air conditioning units or window or portable units. 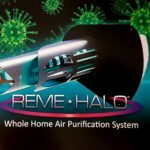 Air Filters are airflow partitions are designed to capture dirt, debris, biologicals, mold spores and other contaminants and keep them from circulating into your air. Your air filters need to be changed frequently, at least every three months or every month if you have pets or high traffic. Central air conditioning heating and cooling elements, filter, dampers, humidifier and related components which direct affect the air movement. Duct work is excluded. An opening in a building allowing outside air to be brought into the system. Bioaerosols are biological airborne contaminants which can circulate throughout your home. They are generally controlled using proper humidity levels and filtration devices (filters). British thermal unit is a measurement of the energy it takes to raise one pound of water one degree. Often the power level of an HVAC unit is determined by the BTU. Carbon Monoxide (CO) is an odorless, colorless, tasteless gas which can emanate from HVAC fuels if operated with insufficient airflow. It can pose a significant health risk. Regular maintenance of your system will eliminate this concern. The mechanism which removes heat from a liquid per vapor compression. This compressed, cooled vapor is then transported through coils and other piping. The coil transfers heat or cold through an outside system by cooled air or steam circulated through the unit. Compressors are generally located on the outdoor air conditioner or heat pump unit and directs refrigerant flow through the system. A condenser works as a heat exchanger which removes heat to air or a fluid. It is the hot portion of the air conditioning unit. The controller provides the operation of the system. Controllers are operated automatically as directed by the thermostats. CFM refers to the measurement of the volume of air flow. It measures the cubic feet of air flow past a stationary point in one minute. The damper is a cover or plate which helps regulate the air flow to the system. A decibel measures sound intensity in an area. The loudness of HVAC equipment would be expressed in decibels. The Department of Energy sets energy efficiency standards for the HVAC industry and monitors the consumption of energy resources. Ducts are responsible for directing output airflow throughout a building. These are cylindrical tubes which originate at the main unit and spread throughout the building to various air vents. A dehumidifier is a device which removes moisture from the air. The air is directed through the system where the air is turned to vapor and then the water is extracted. Dehumidifying is important in limiting mold development. 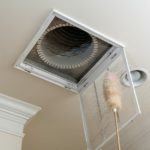 A diffuser is what joins the ductwork together so it can be distributed to various areas. The Environmental Protection Agency (EPA) sets standards for energy efficiency. Energy Star program ensures that the minimum standards set by the EPA are met or exceeded when the HVAC equipment has the Energy Star label. Used in the refrigeration cycle which absorbs heat from the air. It represents the colder side of an air conditioning or heat pump unit. Flow refers to the liquid transfer through a unit. The fan is a mechanical device that actually moves the air. A furnace heats the air and is fueled by electricity, oil burning, propane, or other flammable substances through the heat exchanger. A grille is a plate or vent which has slots that direct airflow and catches larger debris. The heat exchanger transfers heat from the furnace to the distribution mechanisms of the system. Heat Load refers to the amount of heating or heat removal required to maintain the desired temperature. 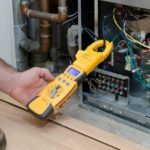 It is a measurement used to help determine the capacity of a system needed in order to accommodate a building’s naturally occurring heat loss. Heat pumps are used to heat and cool space by extracting heat from the air and transferring it. A heat pump also cools the air. 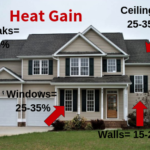 This factor is used to help determine efficiency of a system during a heating season. Humidifiers add humidity into the air through the HVAC system or independently. Some heated or conditioned air becomes excessively dry and can become uncomfortable. A humidifier can help regulate the proper humidity. The system refers to the components making up Heating, Ventilation and Air Conditioning equipment. A substance used to accommodate the transfer between two heat exchangers. Louver is a grate that has slots which are sometimes adjustable and helps control or direct air flow. MERV rating is used in ranking air filter performance in an HVAC system or the ability to filter out contaminants. A micron is the unit by which we measure airborne particles. The least amount of outside air permitted to a recirculating air system in order to maintain proper air quality is considered the Minimum Outside Air. NATE monitors and tests knowledge and expertise of HVAC mechanics and technicians throughout the US. Particles are airborne contaminants measuring less than 100 microns. Some contaminants are visible to the naked eye and many are microscopic. 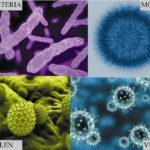 Certain microscopic particulates can be health hazards such as bacteria, viruses and mold. These often measure less than 1 micron. Plenum Space is dead air space which is often between structures such as the air between a ceiling and the roof. It is necessary to rate cable, piping and wiring through the plenum space for fire protection. Programmable thermostats enable temperature settings to be preprogrammed. This allows rooms or areas to be held at desired temperatures during use. 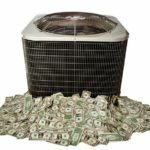 Energy savings are realized when heating and cooling needs are lesser when not in use. Psychrometric is the performance of water vapor which is necessary in energy transfer within an HVAC system. Radiant heat barriers are a thin layer of metal insulation (usually tin foil with a paper backing or a metalized mylar sheeting), which can reduce radiant heat transfer into your attic by as much as 95 percent. The transfer of heat from one surface to another without heating the air between. 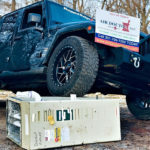 There are many refrigerants used in the HVAC Industry, The most notable is R22 (Freon) which has been banned in the US since 2010 and will not be able to be imported after 2020. Newer refrigerant utilized in the HVAC Industry is R410a (Puron or others) and is more environmentally friendly. Refers to the averaged cooling output divided by the energy used to create the product. A higher SEER ratio system is a more energy efficient system. Split and Mini Split systems utilize both indoor and outdoor units working together. Super Heat is the temperature of a vapor at pressure above boiling. Subcooling is the difference between the liquid refrigerant temperature and it’s saturation temperature. Terminal unit refers to the components including the heating and cooling coils as well as automatic dampers used to control temperatures of a specific area. Thermal zone is a group of indoor spaces which share or have similar thermal loads. Used in the creation of heating and cooling zones to offer greater control of temperature in those areas. The thermostat is the temperature regulator of the system and controls the demand for heat or cooled air to specific areas. Thermostatic Expansion Valve controls the flow of refrigerant through the system and measures the vapor released from the evaporator. HVAC capacity of a system is measured by ton. One ton is 12,000btu. Multizone Heating and/ or cooling is more specifically controlled per area or zone of the dwelling. This allows greater control over the temperatures in specific areas. 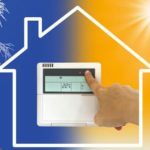 Multiple thermostats are used to control the desired temperatures.